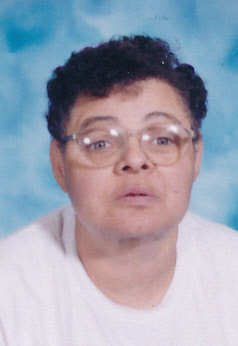 Jesselyn T. Hill, 71, of Sandusky, made her transition early Wednesday morning, December 5, 2018, at The Meadows at Osborn Park, in Huron, OH. Born on February 9, 1946, in Detroit, Michigan, the daughter of Clarence Hill and Marion (White) Byrdsong. Jesselyn was lovable and loved laughing and telling jokes. She faced personal challenges in life, but still lived life to the fullest with the help of her brother, Sidney and sister-in-love, Vera. Jesselyn relocated to Sandusky, Ohio where she met many new friends, got her first job and apartment. She leaves to cherish her memory, four older brothers, Clarence (Valerie) Hill, Jr., Richard (Helen) Hill, Dillmen "Kip" Hill and Sidney (Vera) Hill; and a younger sister, Deborah (Thomas) Thomas; and many nieces, nephews, great nieces and great nephews; and a host of family and friends. Jesselyn was preceded in death by her parents; a younger brother, Agard William Hill; and a special auntie, Nora Abyss. Visitation will be held on Monday, December 10, 2018, from 4-6 pm at the David F. Koch Funeral and Cremation Services, 520 Columbus Avenue, Sandusky. Funeral services will be held Tuesday morning, December 11, 2018, at 11 am at the funeral home. Burial will be in Oakland Cemetery, Sandusky. The family suggests that memorial contributions may be made in her memory to Double S Industries, 4405 Galloway Road, Sandusky, OH 44870 or to one's favorite charity. Your memories and words of comfort may be shared with Jesselyn's family at davidfkoch.com.